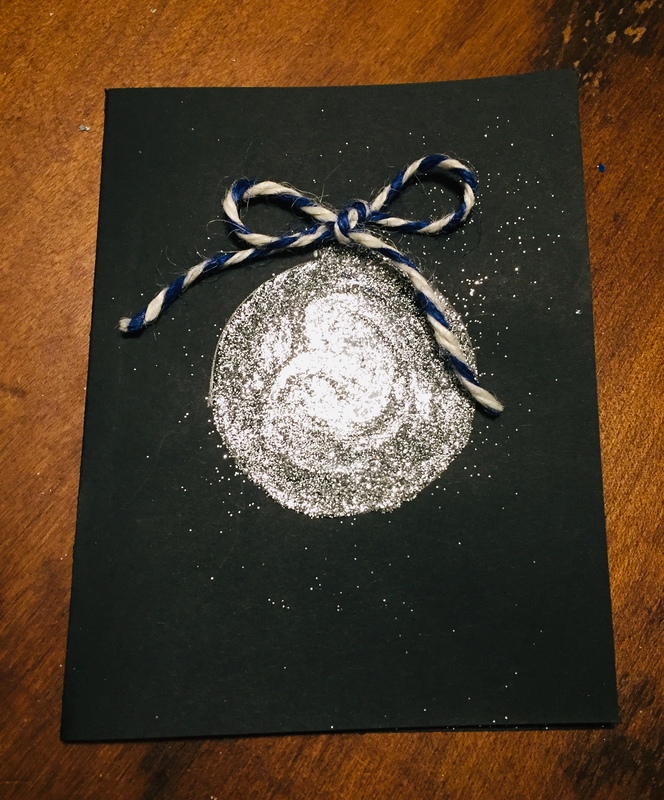 Today I bring you two variations of easy to make handmade Christmas cards. One is made using an electronic cutter machine (mine is a Cricut Explore) but you could use a Silhouette, Brother or any other cutter. 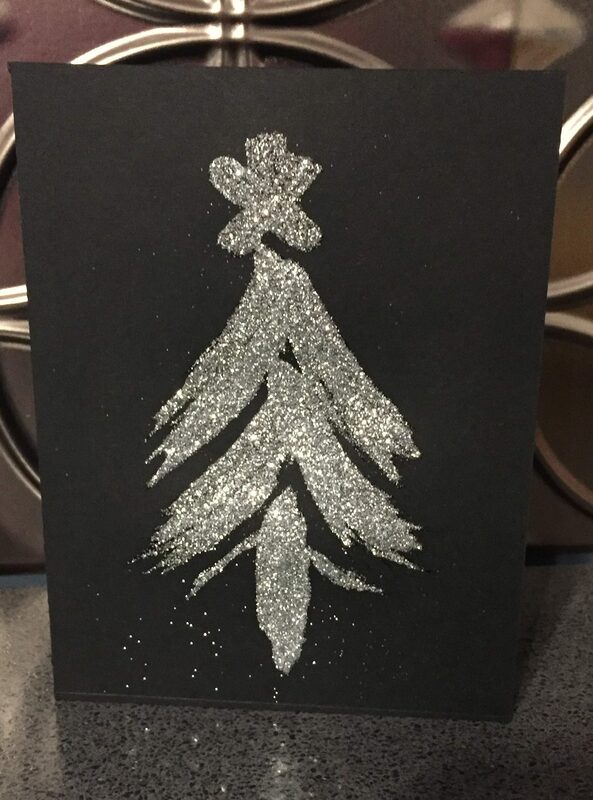 The other card is made using cardstock, Mod Podge and glitter. Both cards are quick and easy to create (under 30 minutes). My Cricut Explore Air made things pretty quick and easy. I followed the prompts for the cuts and the instructions on how to put it all together and before I knew it I had a beautiful Christmas card ready to write and send. I liked it so much I decided to make a few more. Link to the Santa card image. 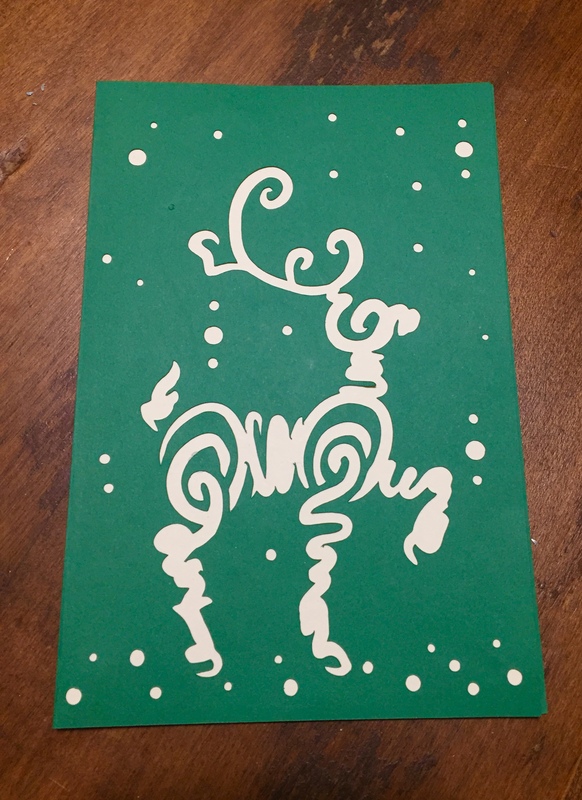 Link to the Reindeer card image. 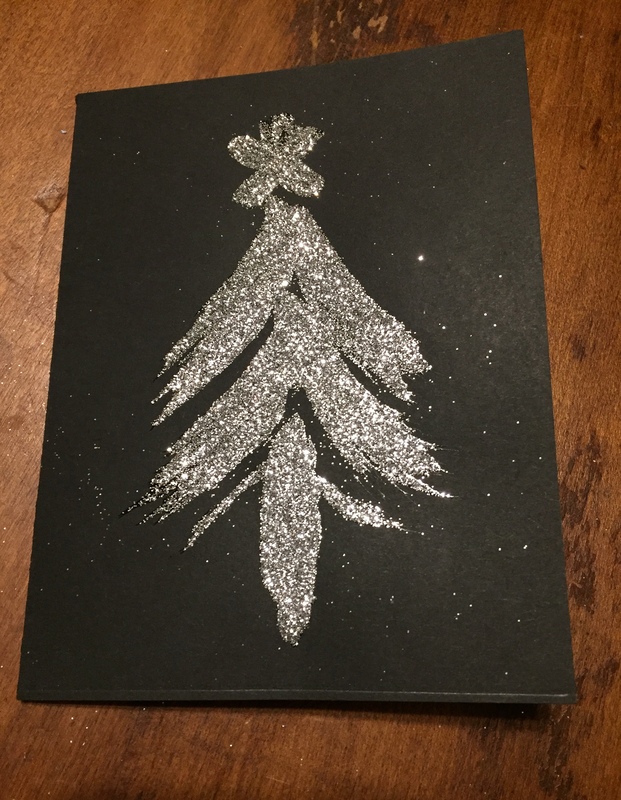 I also really enjoyed making the Mod Podge glitter tree. Keeping reading to see how easy it is to make. To recap, you need cardstock, Mod Podge and glitter. One 8.5 x 11 piece of cardstock will make two cards – just cut it in two and fold each piece in half. 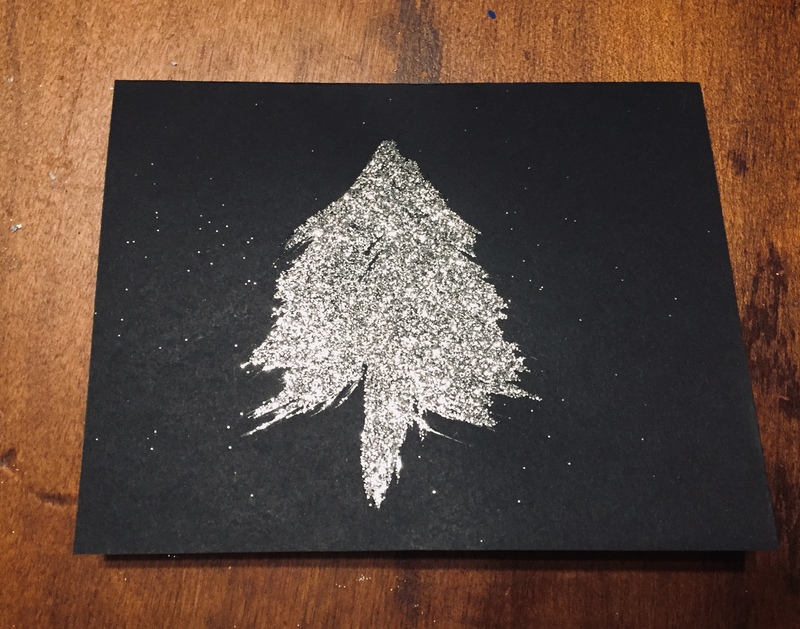 I used an old paintbrush I had on hand to apply Mod Podge in a tree design and then sprinkled the entire thing with glitter. If you don’t have a paintbrush you could use your finger (if you don’t mind being sticky) – this could be a great craft to do with the kids. It was so easy I made several more, here is another tree and a Christmas bauble. 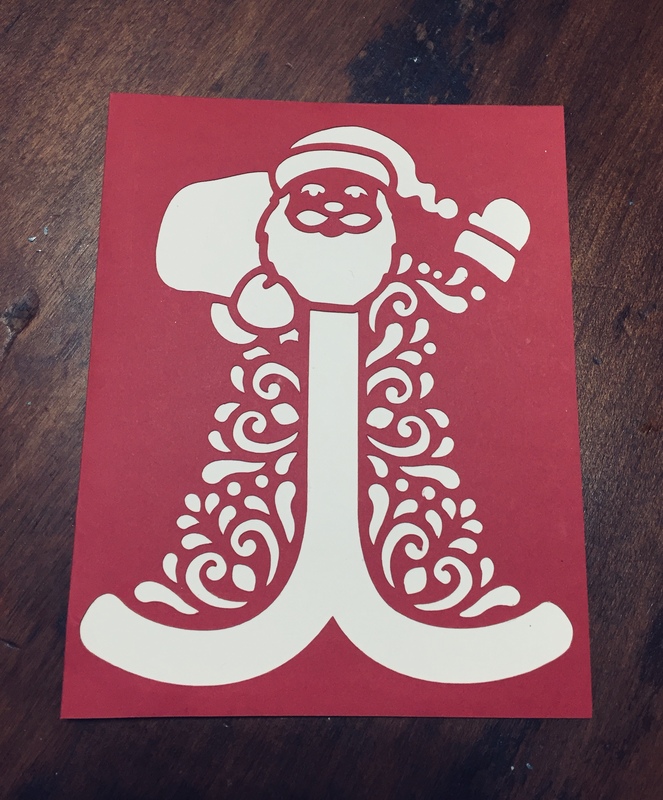 Whether you use a die cutting machine or craft supplies that you have on hand, a handmade Christmas card will always be A Wandaful Thing! I am still trying to decide which one is my favorite, how about you? Do you have a favorite? Leave me a comment below. 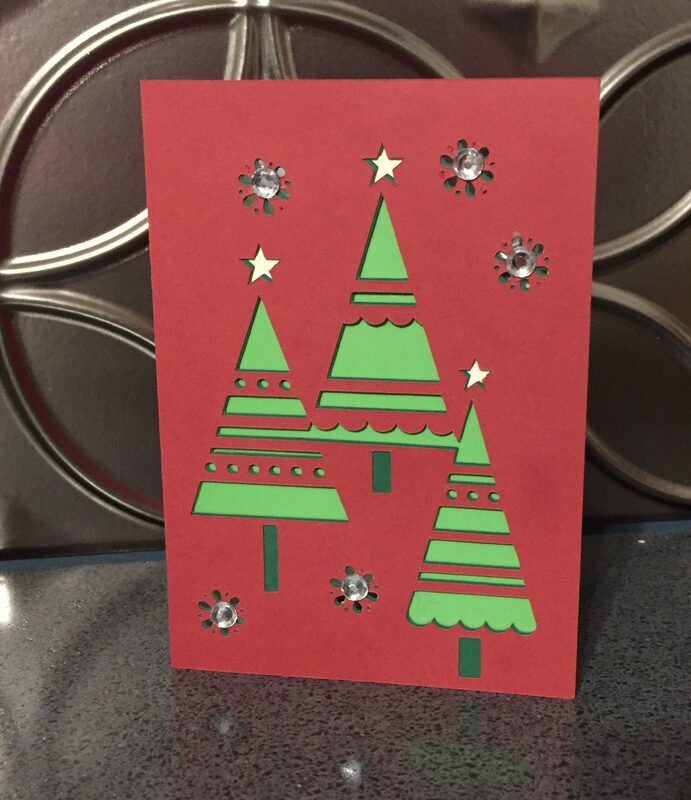 This entry was posted in 12 Days of Christmas, Decorate, DIY and tagged 12 Days of Christmas, cards, cardstock, Christmas, Crafts, cricut, DIY, easy, electronic cutting machine, glitter, ideas, mod podge, simple, svgcuts. Bookmark the permalink. WOW to the cut out designs they look great. I have to say I think the Modpodge and glitter is lovely also. Really like the Christmas ornament.